In the past two seasons I have been to close to two hundred games. Some have been as placid as a certain lake in New York State which has a film named after it; others have been full of colour and choreography such as the derbies ofCopenhagen and Stockholm, whilst a few are talked up and yet deliver so little in the way of atmosphere such as West Ham versus anyone at Upton Park. 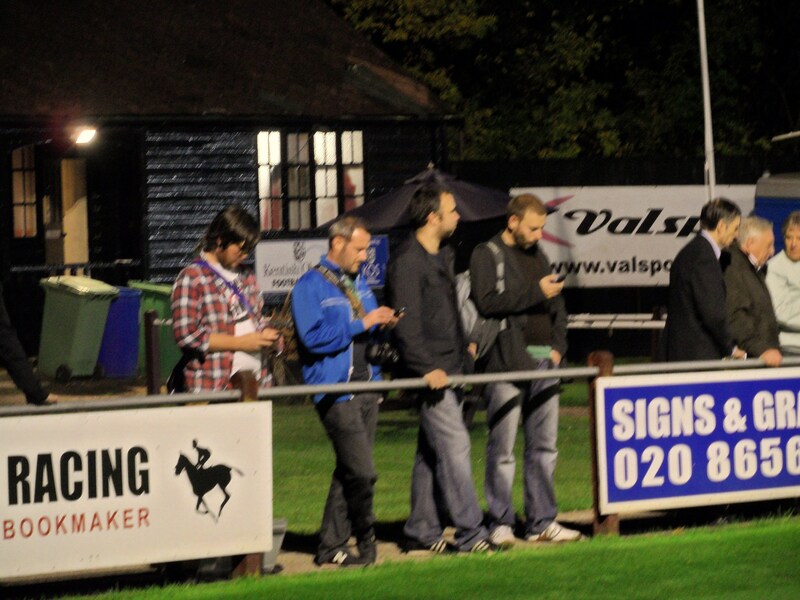 Yet it seems the place these days to get your slice of hostility is in non-league football. After the events of Saturday at Lewes where a handful of Wealdstone fans decided that they would ruin the Rooks 126th Birthday Party, and then blame it on the home club for daring to serve alcohol during the game I thought that would be my fill of trouble for the next few years. But last night the spectre raised its head again. A last minute decision saw an opportunity open up for a midweek game. Beckenham Town of the Kent Hurlimann League had come away from Ryman League Worthing on Saturday in the FA Cup with a great draw and the replay, just 6.4 miles from TBIR Towers was being attended not only by Jamie Cutteridge but also by Damon and Simon from the Real FA Cup. Blogging law dictates that I had to attend. Beckenham sort of merges to the east with Bromley and to the west with Croydon, which means that its local fan base tends to be made up of Charlton Athletic and Crystal Palace fans. They have never finished higher in the Kent League than 2nd place and the tie with Worthing equalled their best ever performance in the FA Cup. In terms of footballing history they can probably point to one incident that put them on the national footballing map. Two years ago with the club entering the FA Vase, they announced they were intending to sign Teddy Sheringham to play in the competition. It was all a ruse, to try and drum up interest in the club. Eden Park Avenue is a great non league ground. A mixture of styles with a couple of unique little structures, a wooden club house set back from one goal which would be more suited to a cricket pitch rather than a football ground and some of the best nets known to man. The fans stood close to the pitch behind the barriers, with the home fans behind the dugouts, with the “Rebel Army” of Worthing who apparently “hate Lewes the most” behind the clubhouse goal. Beckenham Town 1 Worthing 2 – Eden Park Avenue – Tuesday 4th October 2011 I’m not sure at what point in this game it spiraled out of control. There seemed to be an atmosphere on and off the pitch from the moment I arrived five minutes into the game. The referee, either a “Fat Tintin” or “The only gay in the village” depending on what side profile you saw, did himself no favours by turning down a blatant Worthing penalty half way through the first period. 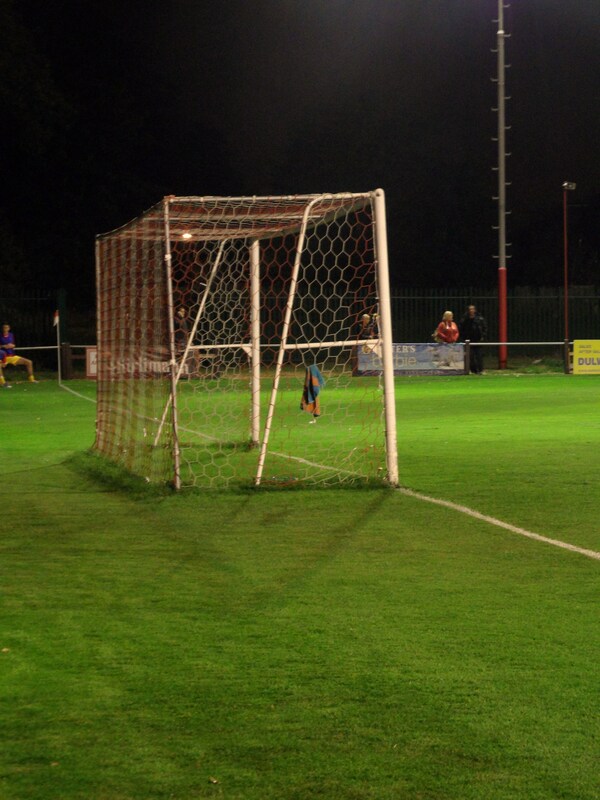 A few minutes later Beckenham took the lead as if to rub salt into the wounds with a well taken goal from Nick Curren. With the half time whistle blown the teams trudged off. At some point some words were exchanged between the two sets of player and fans who were crowded around the exit of the pitch. Threats, pushes, shoves and even a punch was thrown, with the referee taking refuge on the pitch. The referee came into the bar looking for a club official to “sort out the issues in the dressing rooms”, and one of the Worthing directors muttered something about the game being abandoned. Whatever went on behind closed doors, stayed behind closed doors and both teams came out fired up. Beckenham came close to doubling their lead when Harry Draper’s shot went close enough to deliver a collective “oooh” from the fans behind the goal. But despite the protestations from the home players about some of the Worthing tackling it was the away team who scored twice in a few minutes through Budd and then McBride. 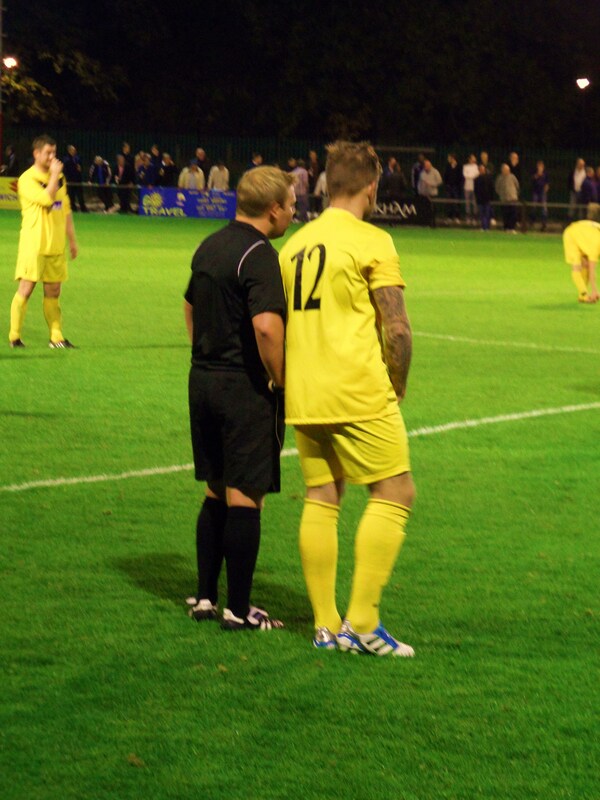 The final piece of action came when Beckenham were reduced to ten men in the last minute. The player, showing as much grace as D-list celebrity from TOWIE being refused admission at the Epping Forest Country Club, stormed off, trying to kick everything in his way, much to the amusement of the neutrals in the crowd. So another tie eventually went with form, and Worthing progressed into the 3rd qualifying round and a home tie with Staines Town to keep the Sussex flag flying in the FA Cup. 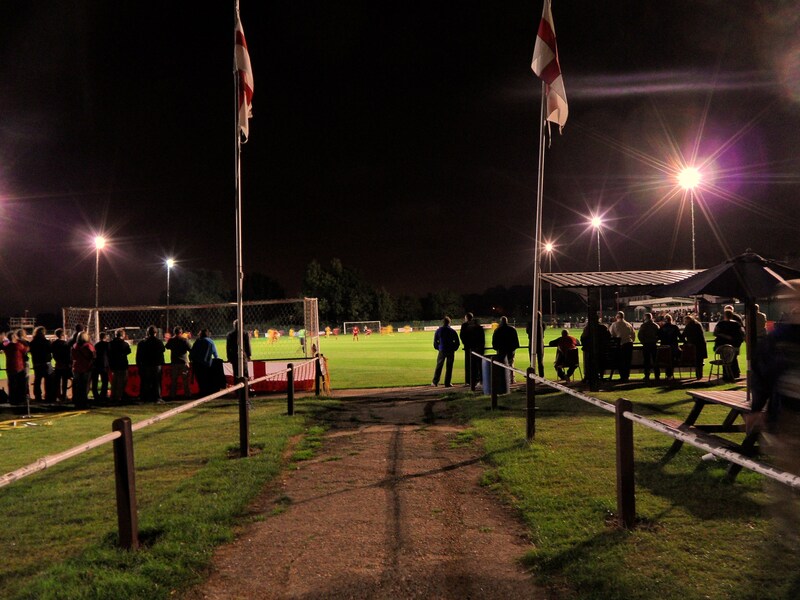 There is so much to enjoy in Non League football but this week we have seen the dark side. Judging from the comments I have received since, it appears that the clubs I have seen recently have a “following” from league clubs, taking out their frustrations of the all seater areas in Football League on their non league allegiances. Let’s hope that normal service is resumed as soon as possible.